A Turkish court has refused to release Pastor Andrew Brunson from house arrest, despite mounting pressure from the Trump administration. The court in the western city of Izmir rejected Brunson’s latest appeal to be freed from house arrest and returned to the United States, according to the Times of Israel. Turkey has hit back at the sanctions imposed by the US government which caused the value of the Turkish lira to plunge. Earlier on Wednesday, the Erdogan administration announced it would be increasing tariffs on imports of certain US products. The affected products will include rice, vehicles, alcohol, coal and cosmetics. The increased levels of diplomatic aggression come after US President Donald Trump announced last week that the United States was doubling steel and aluminium tariffs on Turkey; this follows a protracted disagreement over Brunson’s detention. On Monday, President Trump signed a defense authorization act that will prevent delivery of F-35 Joint Strike Fighter aircraft to Turkey should the country choose to obtain Russia’s S-400 air defense system. 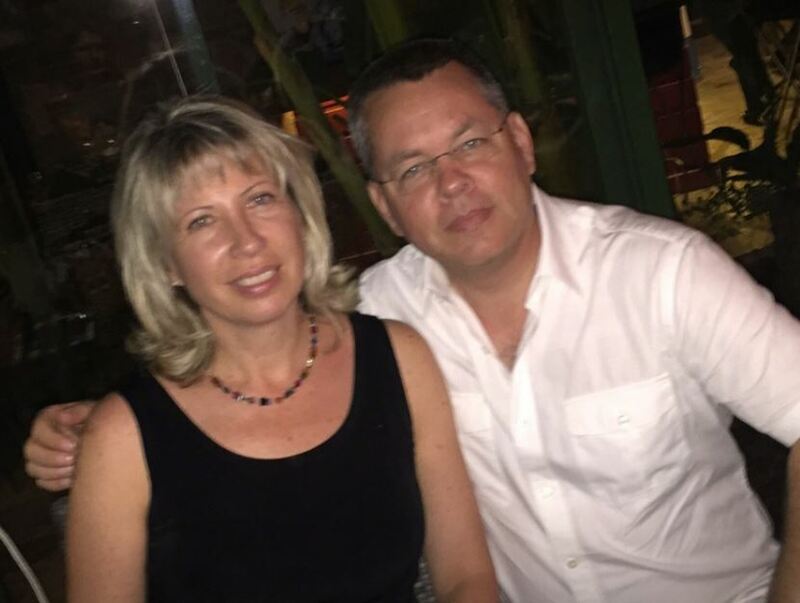 Andrew Brunson pastored a small church in the Turkish town of Imzir before he was apprehended in 2016 on charges of espionage and attempting to overthrow the government. The convoluted accusations allege that Brunson “Christianized” Kurds and worked alongside Fethullah Gulen, a Muslim cleric, to organize the failed 2016 coup that attempted to toppled Erdogan’s rule. The indictment, which is bolstered by a number of anonymous witnesses, claims Brunson sought to “stir unrest in the country, usher in chaos and divide it and to this aim was collecting information, in order to especially direct citizens of certain ethnic roots,” according to the Financial Times. The White House said yesterday that President Donald Trump is frustrated that Turkey has not released the pastor, who hails from South Carolina. “The president has a great deal of frustration on the fact that Pastor Brunson has not been released as well as the fact that other U.S. citizens and employees of diplomatic facilities have not been released,” White House Press Secretary Sarah Sanders said at a briefing, according to Reuters.